During your visit at The Vein Institute of Blue Bell, you will meet with one of our board-certified physicians who are speciality trained in venous reflux disease. At the time of your consult, the physician will review the results of your interactive ultrasound and discuss the treatment options that The Vein Institute of Blue Bell can offer you as a result of your initial visit. Because we know that sometimes you need to consider your options, there is never any pressure to commit to a treatment decision at the end of your consult. This procedure is performed with a local anesthetic in our office. Our physicians will use ultrasound to position the Venefit catheter into the diseased vein through a small opening in the skin. 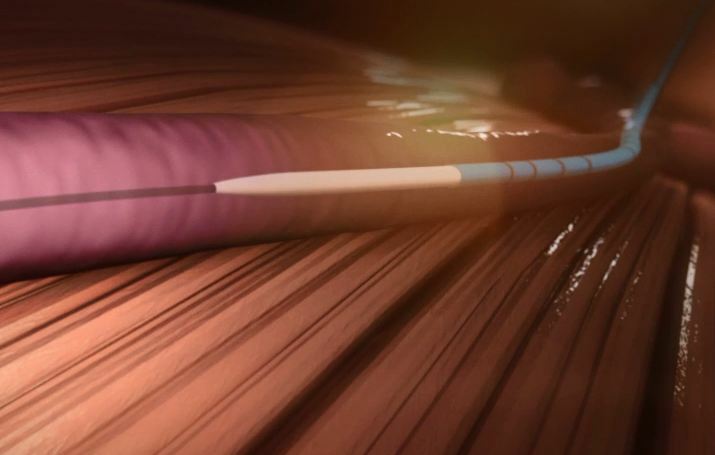 The tiny catheter is powered by radiofrequency (RF) energy which delivers heat to the vein wall. As the thermal energy is delivered, the vein wall will shrink and seal closed. This will allow re-routing of the blood to healthy veins. Following the procedure, a simple bandage will be placed over the insertion site and compression bandages will be placed on your leg. Most patients return to normal activity within a few days. The VenaSeal system improves blood flow by sealing the diseased vein shut. 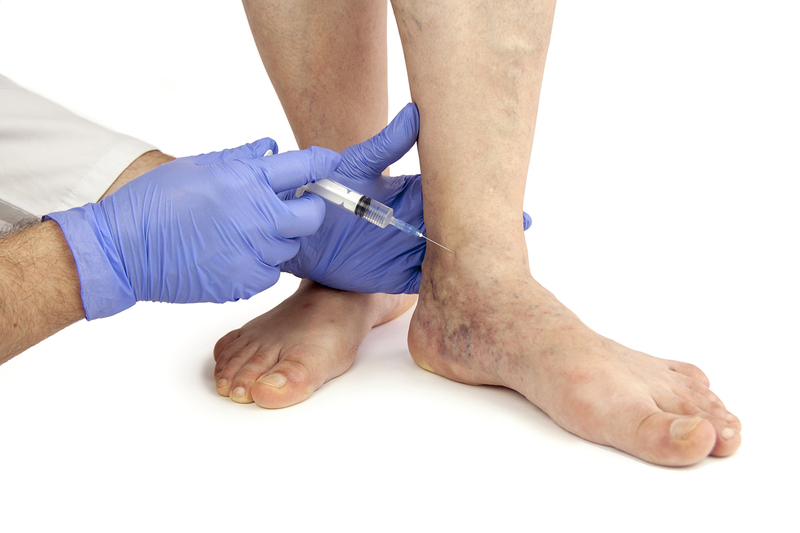 This system delivers a small amount of a specially formulated medical adhesive to the diseased vein. Once the diseased vein is closed, blood is rerouted through nearby healthy veins. The procedure is simple. Once the leg is cleansed, the abnormal vein is identified with ultrasound. A small needle and wire are inserted into the vein after applying local anesthesic. This serves as the entry point for the Venaseal catheter. Once the catheter position is confirmed, glue is administered into the unhealthy vein until the vein is closed. The catheter is then removed from the vein leaving behind the glue and a small band-aid. Phlebectomy (also known as microphlebectomy, ambulatory phlebectomy, or percutaneous phlebectomy) is a technique used to remove varicose veins. In this procedure, using a local anesthetic, several tiny cuts (incisions) are made in the skin through which the varicose vein is removed. Stitches are rarely required. Most patients return to normal activity within a few days. This varicose vein removal procedure is used to treat superficial spider veins. An FDA-approved medication is injected into the diseased veins while using a vein light to illuminate the veins. This requires no anesthesia, sedation or absence from work. This procedure uses a foamed sclerosing agent which is injected using ultrasound guidance. By mixing the solution with air, the solution is given greater surface area, making it more successful in thickening the blood vessel wall and sealing off blood flow. The foam solution does not mix with the blood. Instead it actually displaces the blood, which prevents the solution from becoming diluted. Most patients are able to return to work the next day. Prescription strength compression stockings are the most conservative way to treat vein disease. Compression stockings will help lessen the symptoms caused by varicose veins. However, they do not permanently treat the underlying problem. Most insurance companies are now requiring a trial of compression stockings before considering covering other forms of treatment for varicose veins. In addition, the stockings are also strongly recommended to be worn after your procedure. For your convenience, we stock compression stockings for purchase. One of our staff members can measure you for a custom fit. However, if you wish to purchase stockings from another vendor, we will be happy to provide you a prescription.